The idea to go to Prague, sooner or later visitsany traveler - too beautiful this city on the brochures and the illustrations in tourist guidebooks. Hobbled bridges Vltava sets a romantic mood, and hundreds of varieties of delicious beer give meaning to this trip even for pragmatists. The time of the visit to Prague one choosesindividually, and in many respects this choice depends on the desires and needs of tourists. Photographers love autumn city when gold foliage Prague parks creates the perfect backdrop for photo shoots. Fans of shopping and holiday festivities advance booking of tickets for the Christmas holidays, and admirers walking in comfortable temperatures selected spring and summer, which in Prague is not too hot, dry and sunny. How to get to Prague? Direct flight to Prague from Moscow and carryRussian and Czech Airlines. 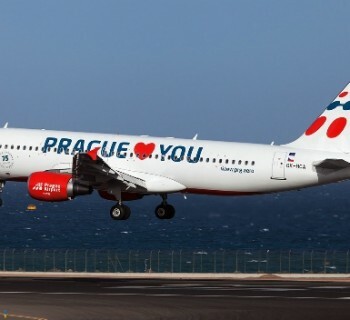 Many airlines offer connecting flights through special offers on other European capitals, from which, by the way, to Prague can be reached quite budget by rail. By train travel to the Czech capital of Russia, and those who prefer land-based vehicles. Prague hotels can be divided into twocategories - modern and old. Stars on their facades are not always correspond to the true state of affairs, and therefore for the hotel booking is better to rely on reviews of previous hotel guests. However, in Prague in hotels quite comfortable and inexpensive, especially if you prefer guesthouses where services are "bed and breakfast". About Czech restaurants a lot does not make sense to say -they should be. Every self-respecting institution and the client there brews its own beer, which you can taste up to the last breath. As snacks are served all kinds of meat delicacies, including - Boar knee. This dish is ordered for the whole company, because a portion of it may be "unaffordable" even for two visitors. All the attractions of the Czech capital is notcan enumerate even its inhabitants. In this city, carefully preserved medieval architecture and monuments, and modern achievements of builders. Golden Lane and Cathedral Sv.Vitta, Visegrad and the Charles Bridge, a monument to monument and a masterpiece to masterpiece - that is old and kind of Prague, a city where every guest becomes a friend and admirer.